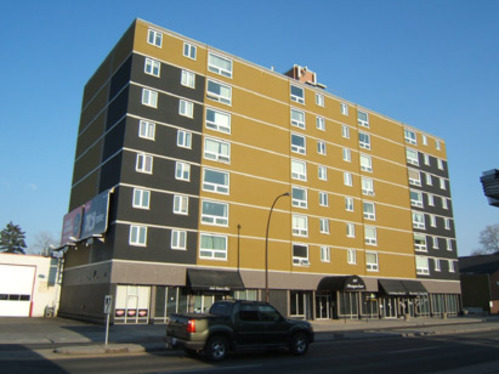 2-bedroom apartment suite in a secure building is located in the trendy KENSINGTON area, great location!!! Close to SAIT and walking to downtown. Nice bright rooms, fridge, stove, dishwasher, window coverings, hardwood floor and extra storage. Coin-operated laundry facilities are provided on each floor. Available August 1st, 2011. $1080/monthly, water, heat and plug-in parking included. A one-year lease is required. Deposit is one month rent.